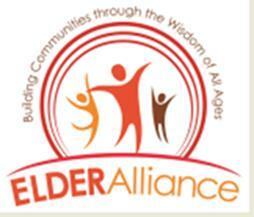 There are four major players working in the area of aging issues and services: the City of Tucson; Pima Council on Aging, the Area Agency on Aging (AAA) for Pima County, which includes the City of Tucson; AARP and the Elder Alliance, the breadth of which is defined and further detailed in Item 2. All groups have their own policies, programs and services and although there has been a level of working relationships, this Application gives them the opportunity to more effectively and with greater coordination plan, implement services and programs and conduct a continuous assessment cycle. Please refer to the addendum for details.